Risotto with peas and wild asparagus is regularly on my menu for Saturday lunch. After the morning coffee on Riva (promenade by the sea), I always pass by the greenmarket and come home with tones of fragrant, fresh vegetables. Equipped with such a “vitamin bomb” it is easy to get inspiration immediately. This simple and quick meal is low in fat and suitable also for vegans. 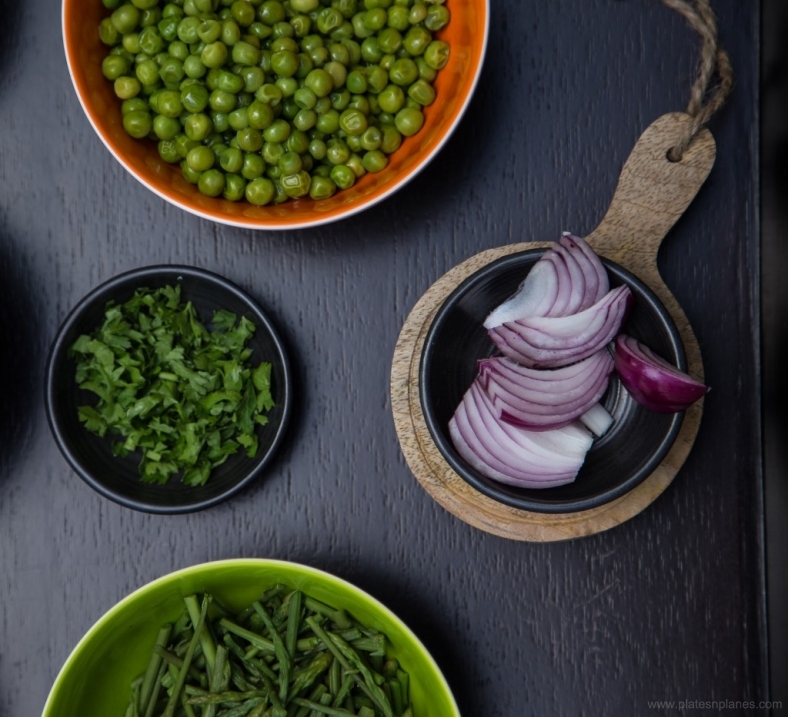 Cook separately peas and wild asparagus. Drain them, but do not throw the water. Keep it aside. Mix together peas and 2tbsp of olive oil into a smooth mousse with a hand mixer. Add 1/3 of chopped asparagus and a little bit of water (in which you cooked it) and mix again until is smooth. Add salt and pepper and leave it aside. Heat the rest of olive oil in a large saucepan, add sliced onion and stir until it is soft. Add washed rice and stir until all rice is covered with oil. Turn the heat to medium and slowly pour rice with water, in which you cooked the vegetables. 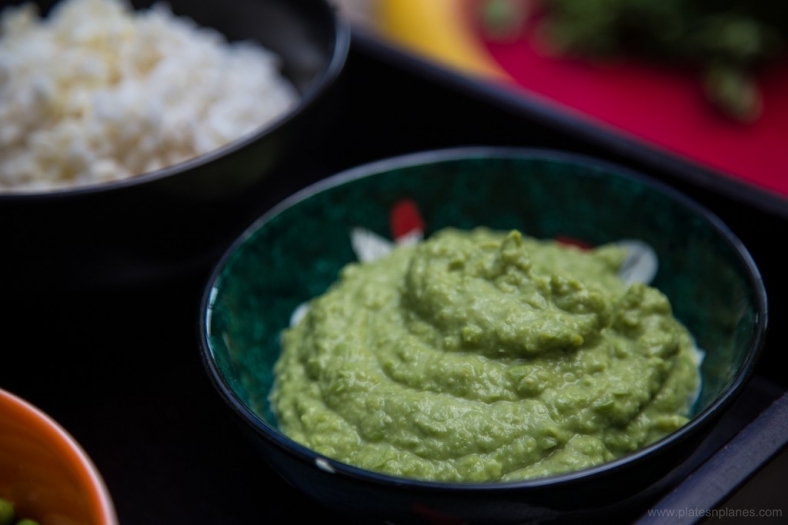 Once rice is cooked add green mousse, stir it altogether gently. Finally add the rest of chopped asparagus and chopped basil. 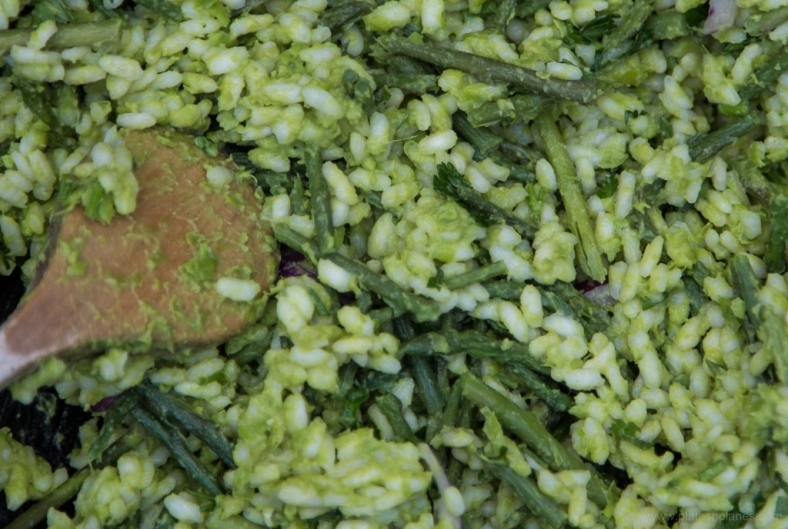 The rice soaks up green mousse flavor and the wild asparagus add the final touch to these yummy risotto. You can serve it with arugula salad and it will be detox lunch and great benefit for your body.